Our mission is to create theater that inspires wonder, provokes thought, gives joy and enriches the public imagination. We believe that such theater should be easily accessible to a wide range of audiences. Thus, many of our performances take place in non-traditional spaces and at free outdoor festivals. We strive for a theater of visual poetry–handmade & archetypal–imbued with the urgencies of the Moment and the elemental impulses of Human/Nature. Our company tours to cultural centers, festivals, community venues, and schools throughout the Northeast and beyond. We also conduct residencies, and create an annual outdoor spectacle, the ESOPUS CREEK PUPPET SUITE, in our hometown of Saugerties, NY. This web site is but a shadow on the cave wall. Come and see a live performance. National Endowment for the Arts, NY State Council on the Arts, NY State Music Fund, Jim Henson Foundation, Hudson River Foundation, Meet the Composer, Nathan Cummings Foundation, Puffin Fund, Community Foundation of the Hudson Valley, NY State Dept. 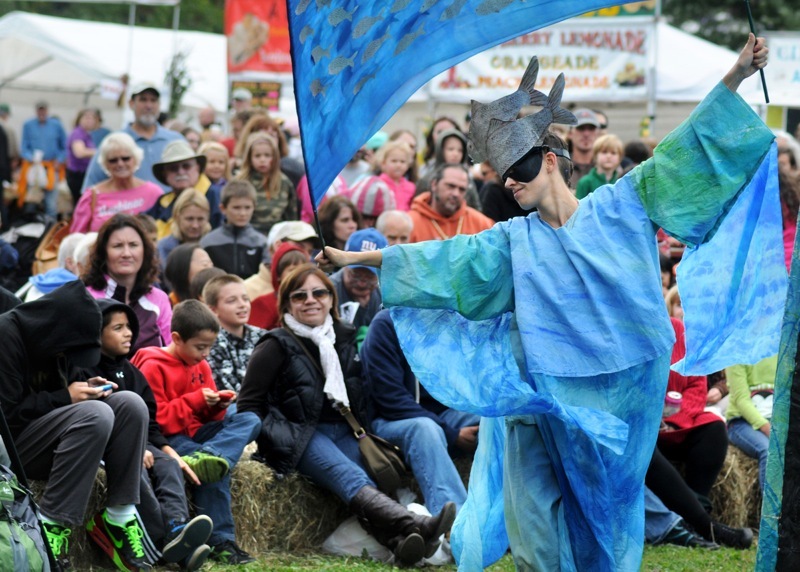 of Environmental Conservation, Catskill Watershed Corporation, Woodstock Chimes Fund, Ulster Savings Charitable Foundation, Ulster County Cultural Services Fund, Robert Rauschenberg Foundation, and the Rex Foundation.